Founded in 2014, Rantic is a USA-based social media marketing provider that claims to deliver real and organic social signals to YouTube, Instagram, Twitter, and others. The company claims that they are able to deliver more than 500,000 YouTube views in one day, which is impressive. Their website is a little confusing as they use complicated terms on their main menu. Their ordering process, once you get there, is not difficult though as you only have to share your account or video URL, and pay via PayPal or credit cards. Their YouTube services can’t be customized. Rantic’s customer support is limited to email. They allow refunds only if they fail to properly deliver your order. The company offers a lifetime replacement warranty, which is great, but they don’t have a satisfaction policy. They advise their customers to reach out to them whenever their social signals drop. 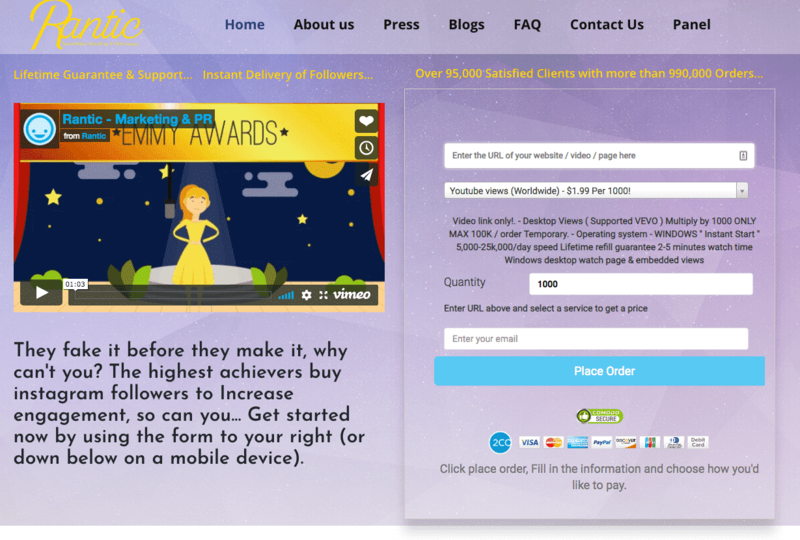 Rantic impressed us with their lifetime warranty and their vast range of organic social signals. The fact that their YouTube views are supposed to be SEO-friendly and with high retention tells us that they really try to care about their clients. We think that they could offer a better refund policy to truly be a great provider. All in all, Rantic is a company that we recommend to try for YouTube services, especially those who want to try many different types of social signals. 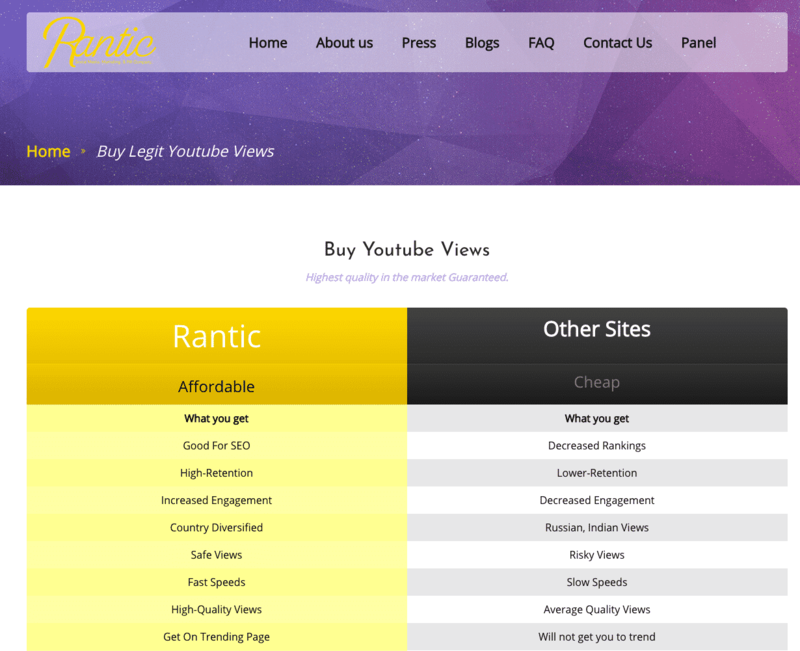 What do you think of Rantic? Did any of their services impress you? Share your thoughts with us by writing a review.